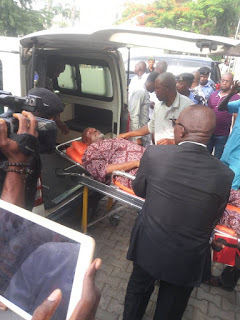 The embattled Senator Dino Melaye representing Kogi West Senatorial District of Kogi State has been arraigned today before a magistrate court in wuse zone 2 Abuja. 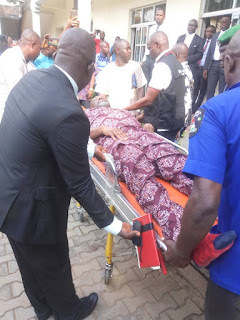 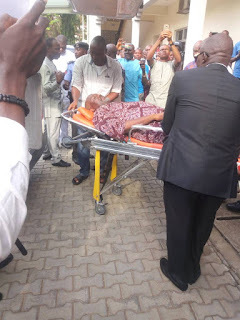 The Nigerian Police reportedly dragged the lawmaker before the court, forcing him to appear in a stretcher. We learnt that the court has however granted him bail to the tune of N90 million with two sureties in like sum. Heavily armed security operatives were also reportedly sighted within the court premises.